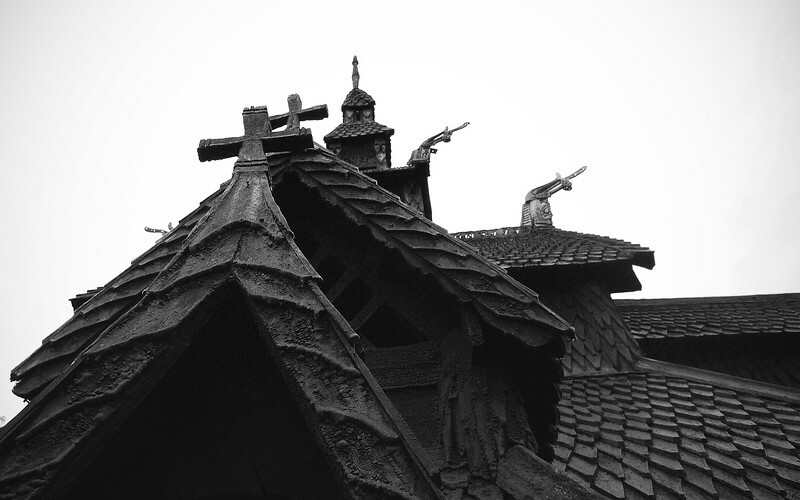 Jul 20 2015: The Church of THOR! 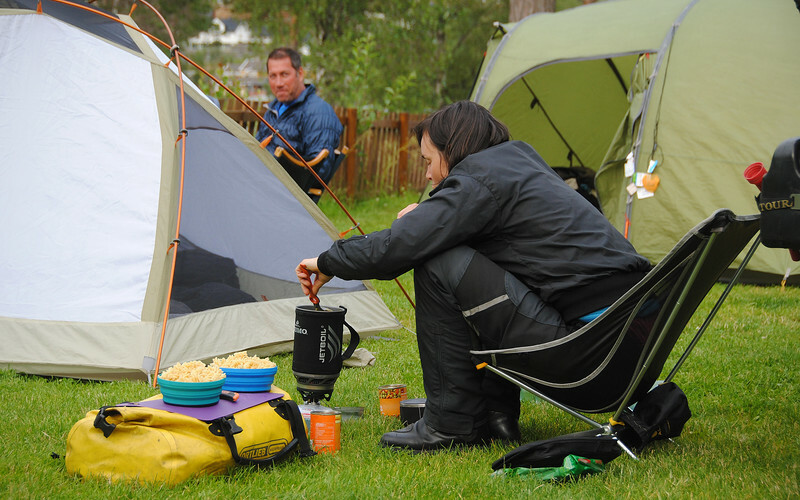 We putter around the Preikestolen Campsite, taking our time before leaving. 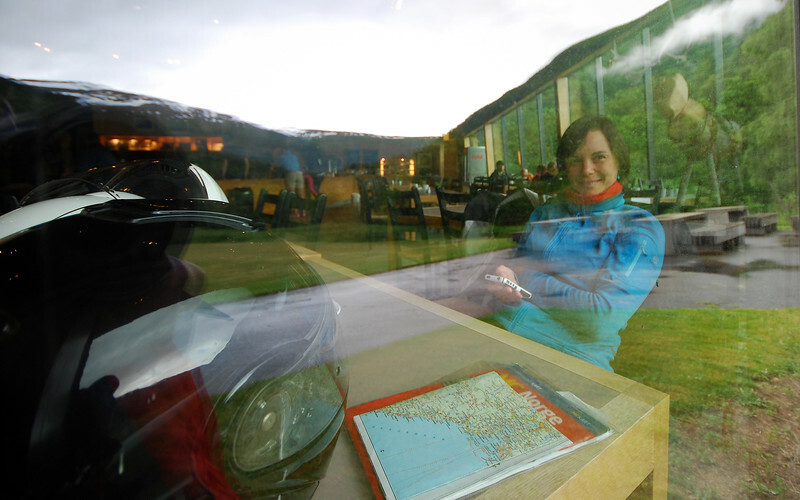 I like that the days are so long up north that we can wake up and start riding anytime we want - which is late! Daniel and Sara are early birds and have left while we are eating breakfast, we'll catch up to them at the next campsite. First ferry of the day. Get the wallet out, Neda! 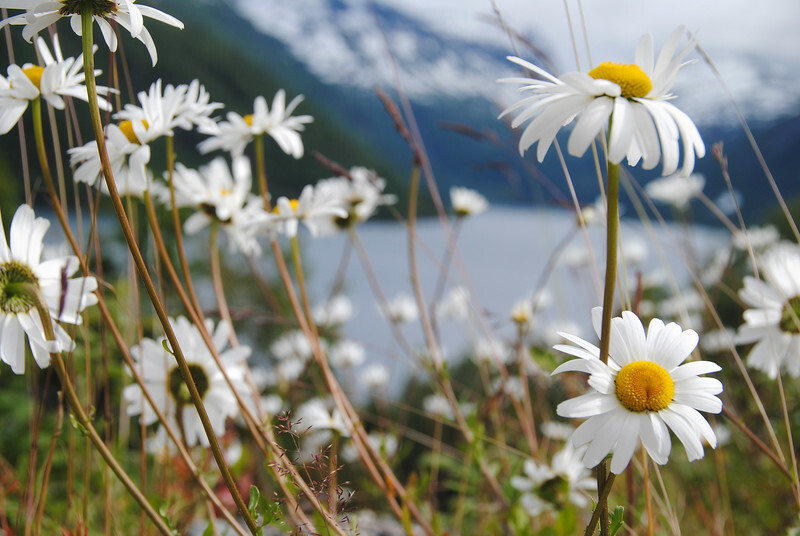 The day starts off without rain, so we're very optimistic that we'll get a chance to experience the fabled Norwegian summer that's on all the travel web sites and brochures. 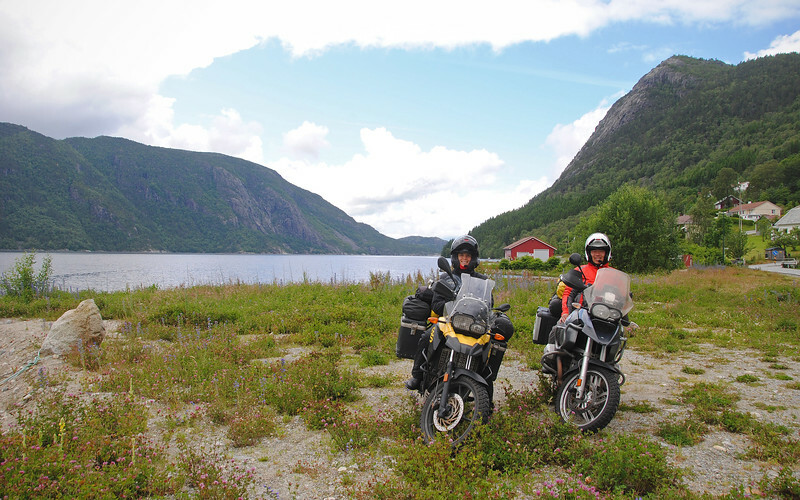 You know, the ones that feature all those green-covered fjords towering over impossibly clear blue skies? 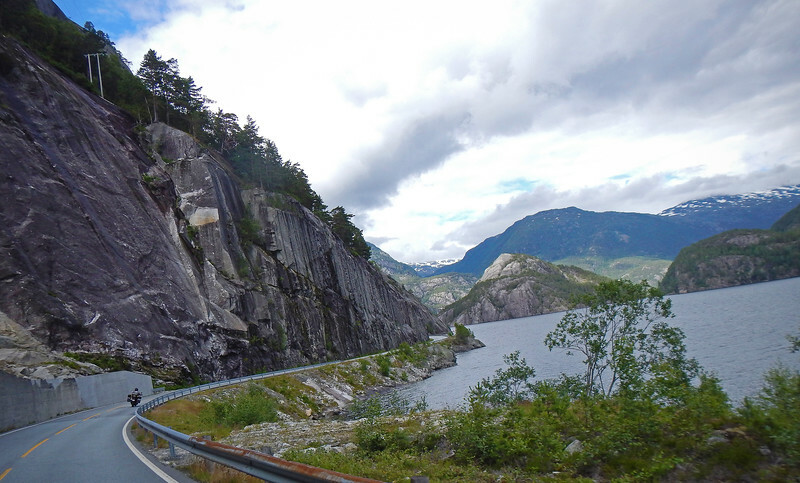 There's a route that travels right along the western coastline of Norway through Stavanger. 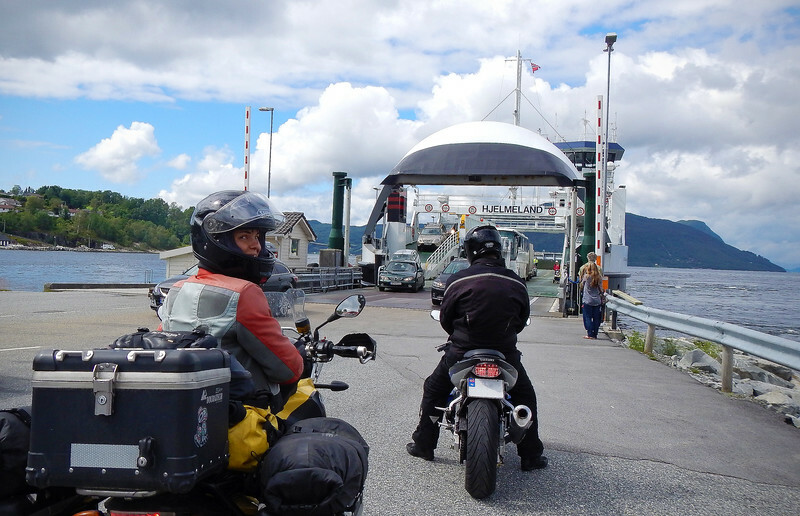 But going that way requires a very long and expensive ferry to get to the next fjord north, so we opt for the inland route instead. 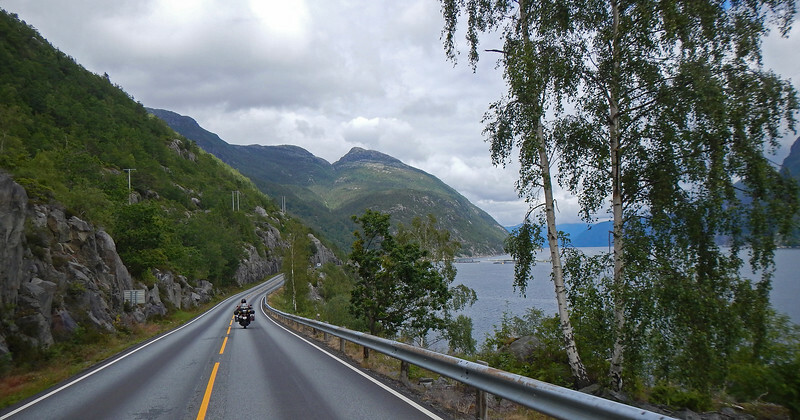 Our chosen road curves around a myriad of inlets and lakes. Nice. And very scenic as well! 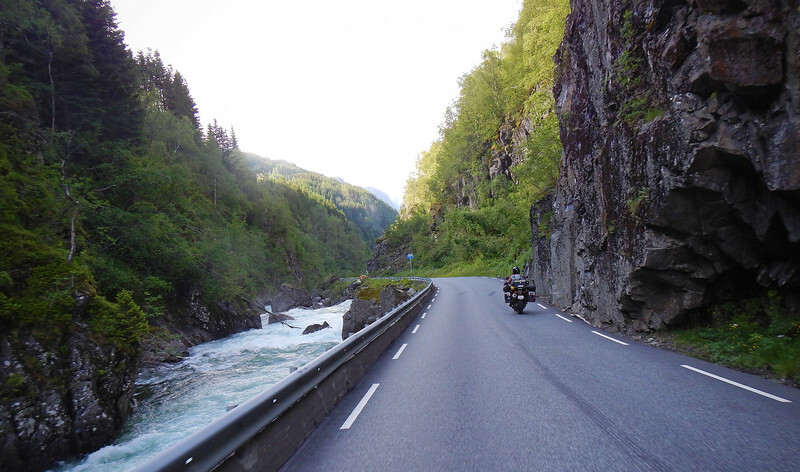 If you like riding past water, you'll like the west coast of Norway! 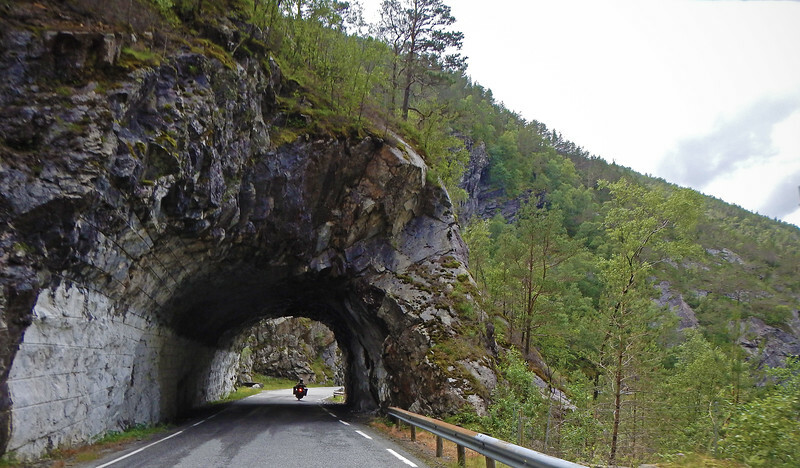 If you like riding through tunnels, you'll like the west coast of Norway! 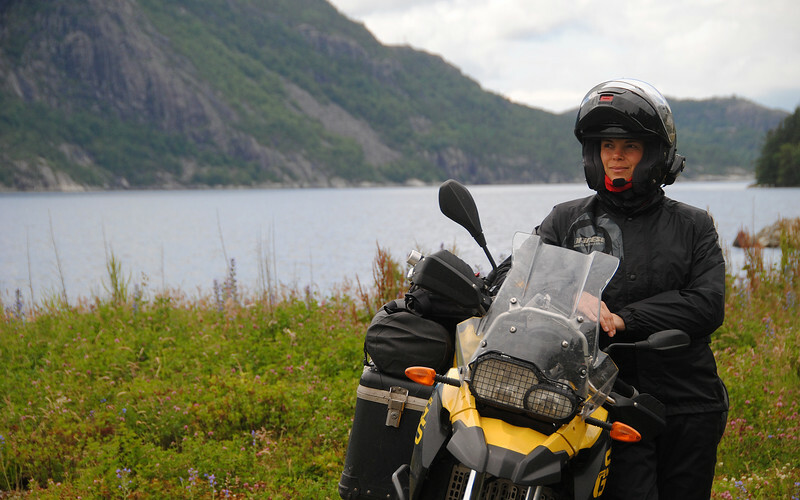 Loving Norway now that we are warm and dry! 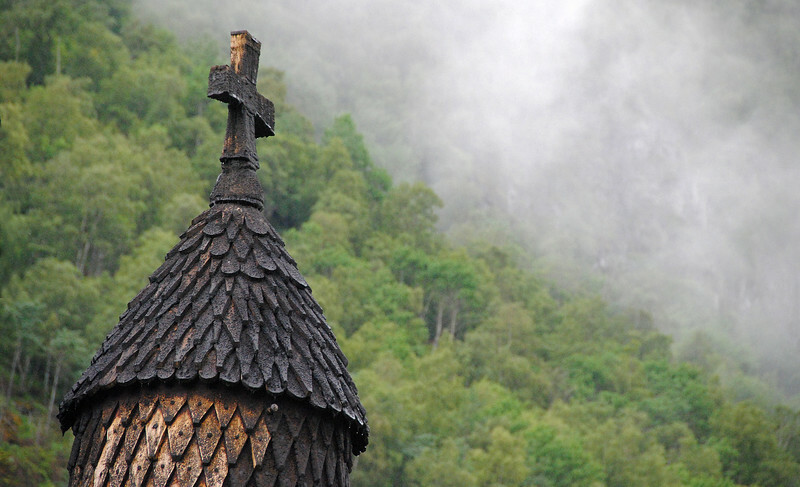 Traditionally, Norwegian trolls live in rocks, mountains and caves. Later on, they were associated with landmarks and I think it was the Three Billy Goats Gruff fairytale that was the first account of a troll living underneath a bridge. 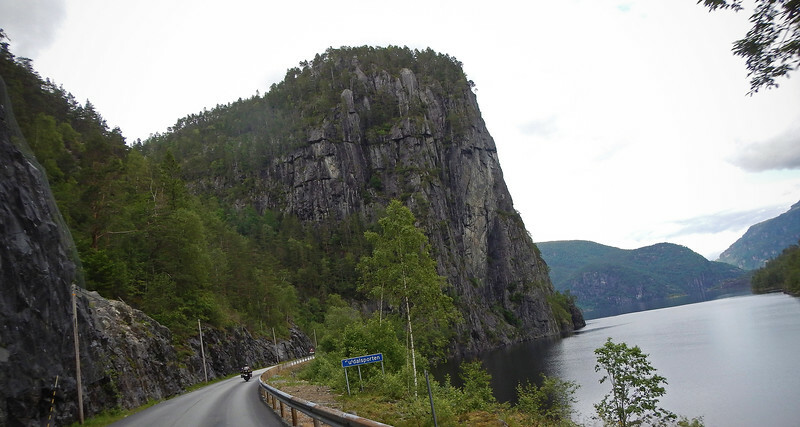 These steep cliffs were cut by glaciers! 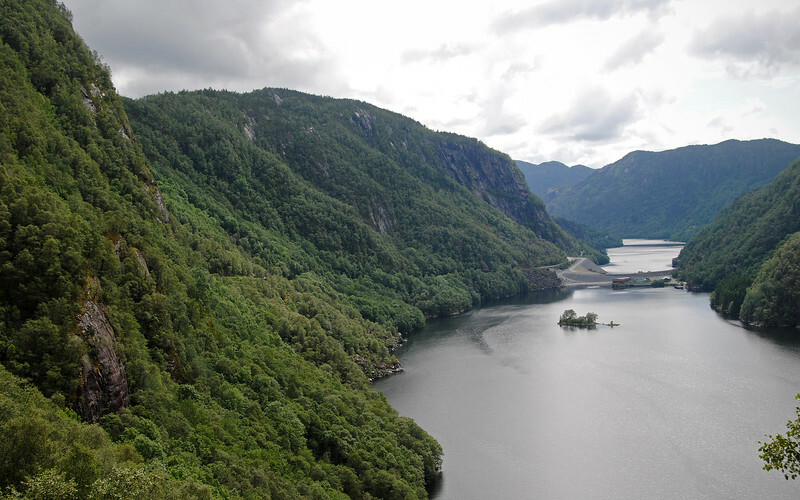 A fjord is created when glaciers extend to below sea level. 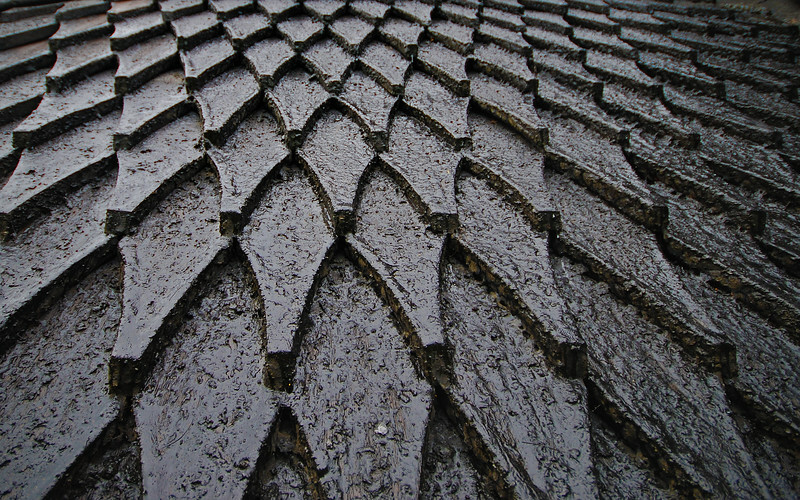 The deep grooves they carve into the bedrock underneath are exposed when the glaciers recede and are then filled with seawater creating inlets, channels and fjords. 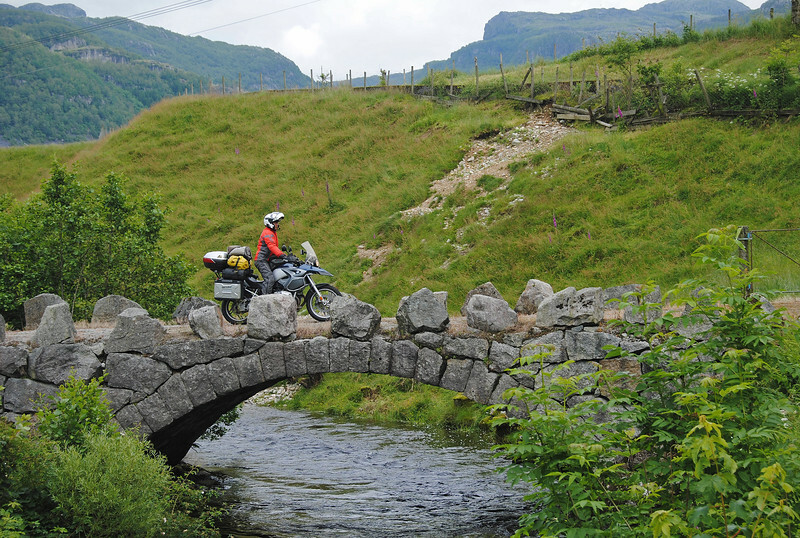 Pretty cool that all of these geological features we're riding around were created during the last ice age 10,000 years ago! 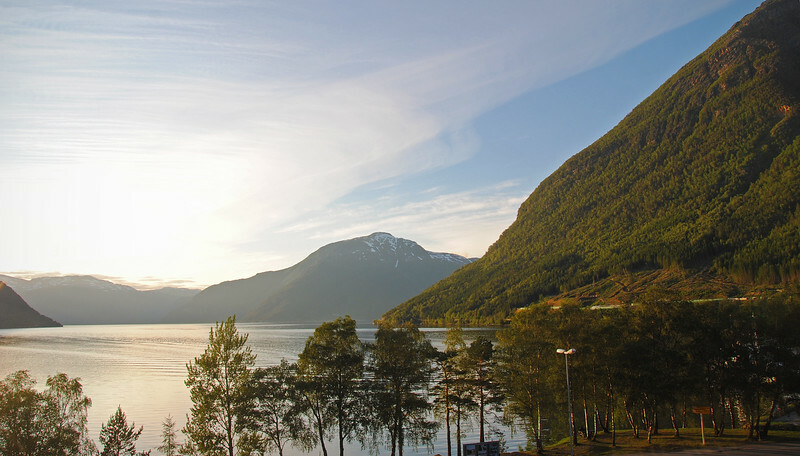 We roll into the campsite at Kinsarvik in the late evening and the sun is still hanging high in the sky. I love traveling in the north! Sara and Daniel have planned a pretty long riding day tomorrow and we've got a different schedule so I think this may be our last evening with them. It's been nice having company for a while and I'm sure we'll run into each other somewhere, sometime! 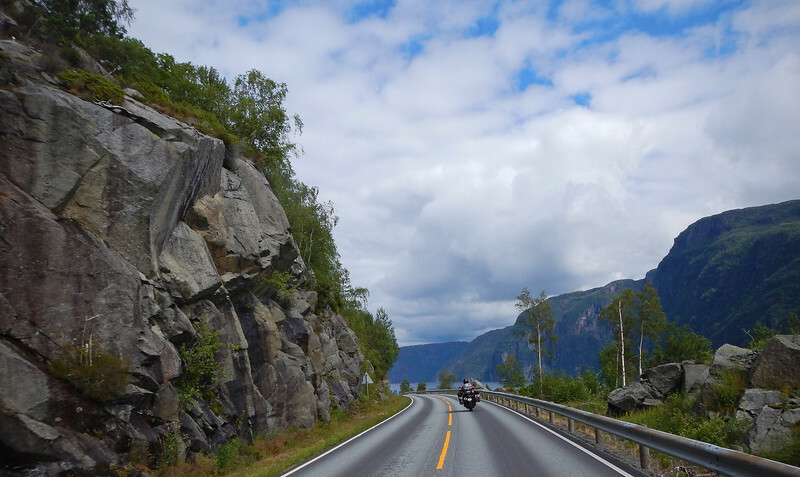 The world seems so small when you're riding around it on a motorcycle! Well, the good weather lasted all of one day. The rain is back in the morning and the air is cold with mist hugging the sides of the mountains. 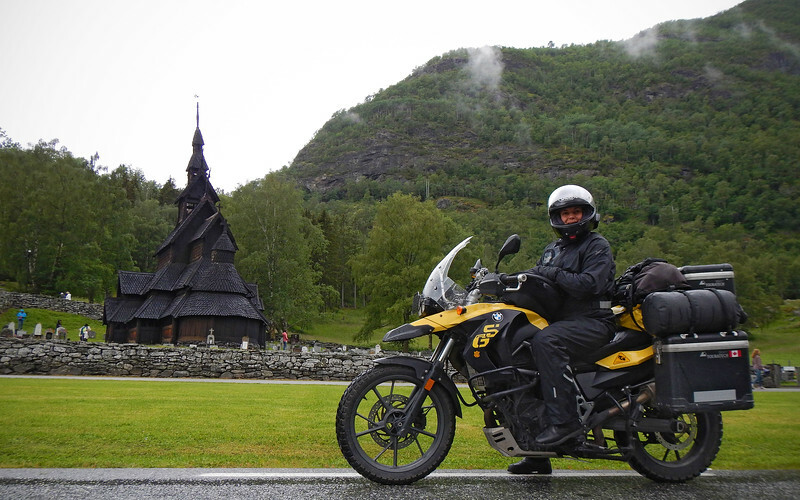 We ride to our first site of the day, the Borgund Stave church but it's too wet to walk around, so we duck into the visitor's centre to wait out the rain. The wifi may have been free, but the staff at the visitor's centre were giving us the stinkeye because we had occupied a table for over an hour without buying anything. So we bought some really expensive cake from them. Too ashamed to say how much we paid... Ouch. 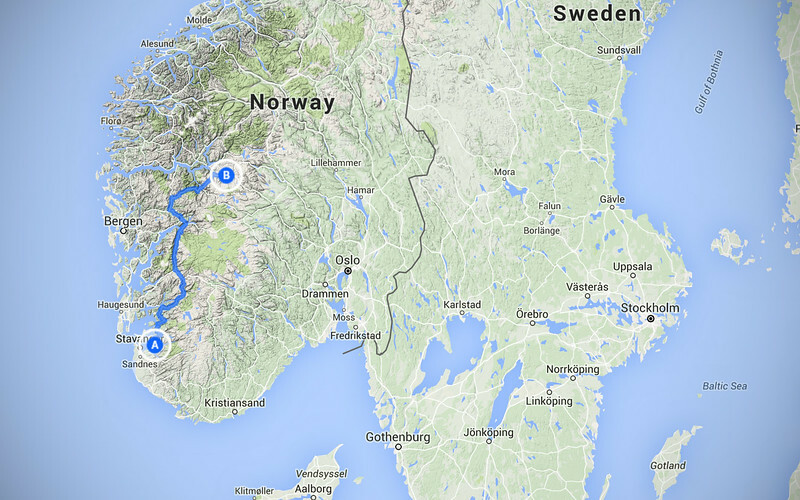 Norway is expensive! 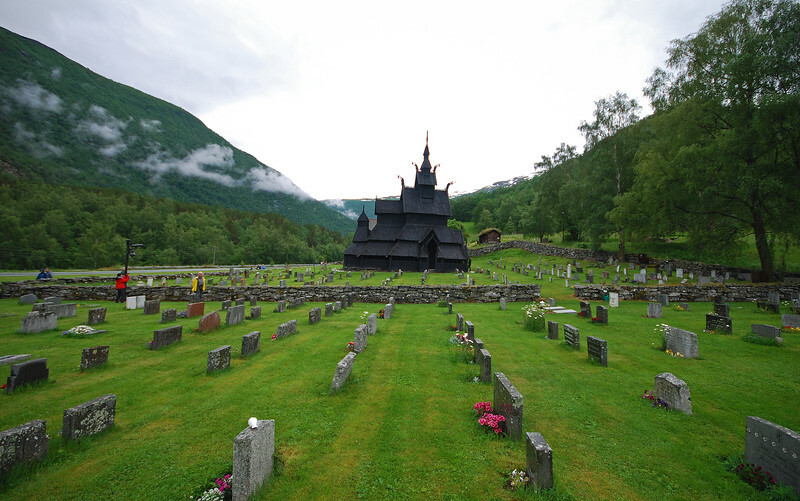 Stave churches are built in the middle ages and are made entirely of... Norwegian wood. Isn't it... no, too easy. 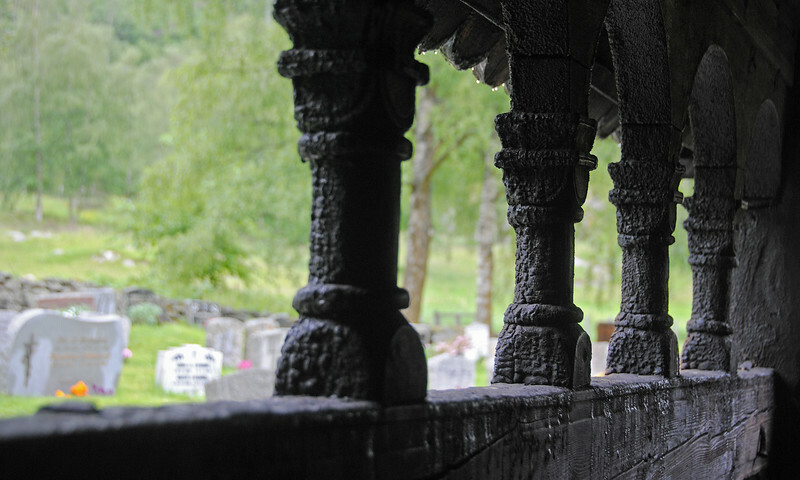 There used to be a lot of them built all over north-west Europe but today, most of the surviving Stave churches are only in Norway. 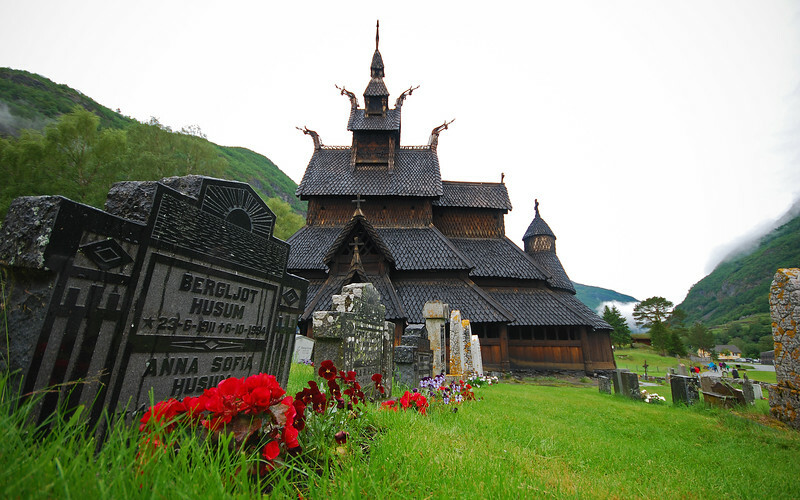 The Borgund Stave Church was built in the late 1100s and is the most well preserved and authentic stave church. Christianity? 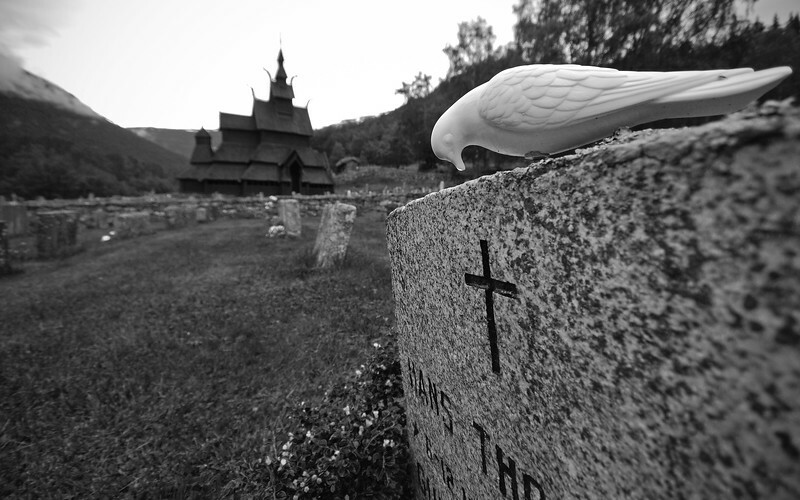 I always thought the Norse religion involved Valhalla, Odin, Thor, Hulk, etc. 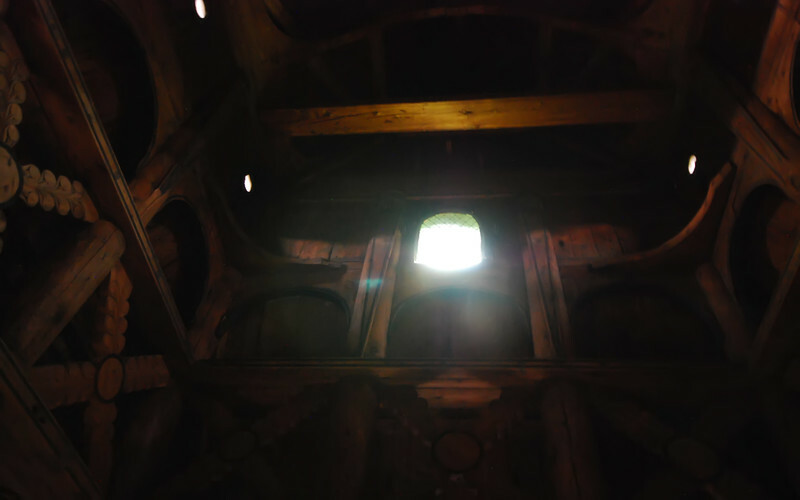 Great detail inside the church. 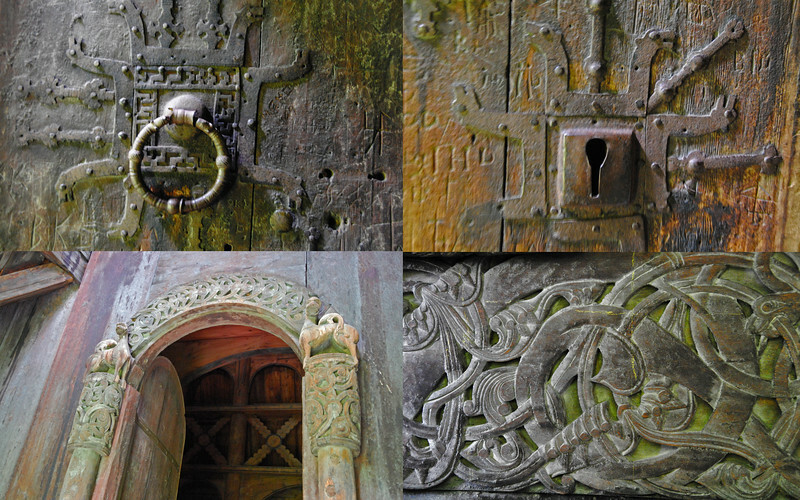 You can see the dragon motif repeated everywhere. 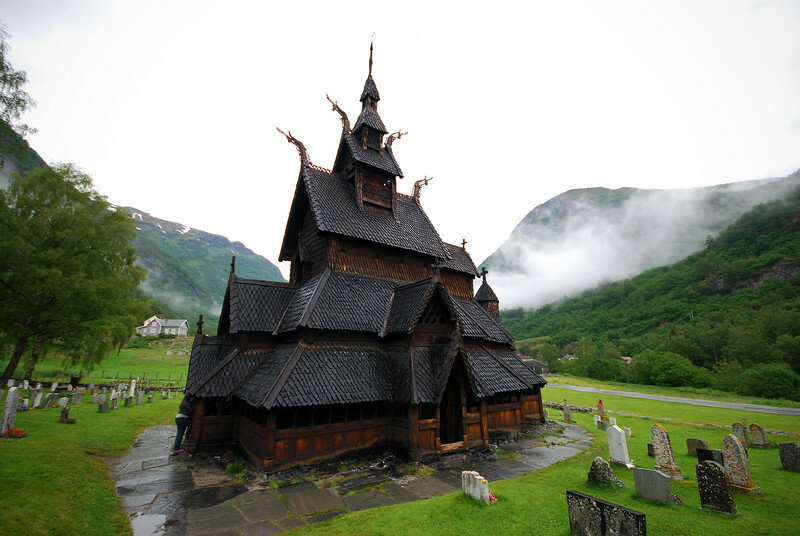 There are runic inscriptions on the wall inside and one reads, "Thor wrote these runes in the evening at the St. Olav's Mass" No kidding!